An alien landscape on the big screen: something about it seems familiar and earthbound, yet something informs you that this is an alien world that exists light years away. On the other hand, a lower budget for science fiction movies or TV shows that does not allow for fantastic location shots can make it harder to suspend disbelief and use your imagination to transform a rock quarry or very mundane rock formation into a planet full of lizard people. This is not the case with the following fantastic state parks where many notable scenes from science fiction movies were filmed! This awesomely named park located in the San Rafael Desert of Utah is notable for the thousands of mushroom-shaped hoodoo rocks that can be found there. You might remember this park when we told you to go there for our 4 State Parks to Visit at Halloween article! Here it is again, because it’s that cool. 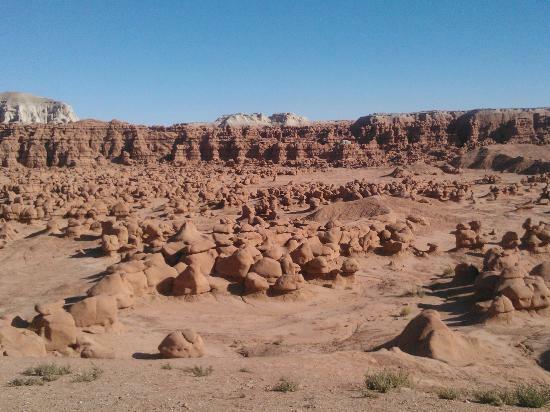 When viewed from afar, the landscape of Goblin Valley very much resembles a place where you might find a goblin village. It’s this quality that led to the 1999 Star Trek parody Galaxy Quest to be filmed there. 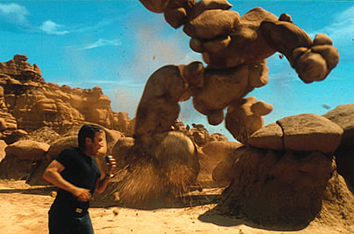 The famous mushroom-shaped rock landscape can be seen for an extended sequence in the movie during the mission that the crew undertakes to find fuel for their damaged ship on an unnamed alien world. They encounter many bizarre creatures, and Tim Allen’s Captain Jason Nesmith even battles a giant composed entirely of the famous hoodoo rocks! 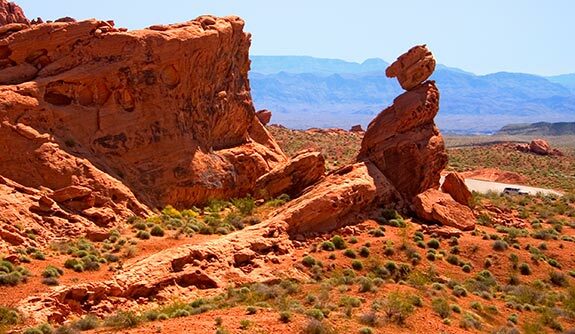 Another park that has an amazing name is Valley of Fire State Park in Nevada. 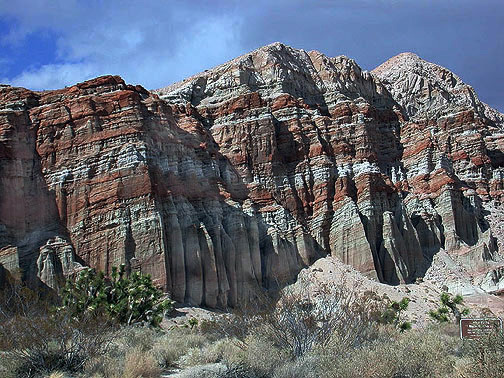 This is the oldest state park in Nevada and is named for the beautiful red sandstone formations found on its 42,000 acres. Some of the dunes and eroded sandstone formations date back 150 million years. 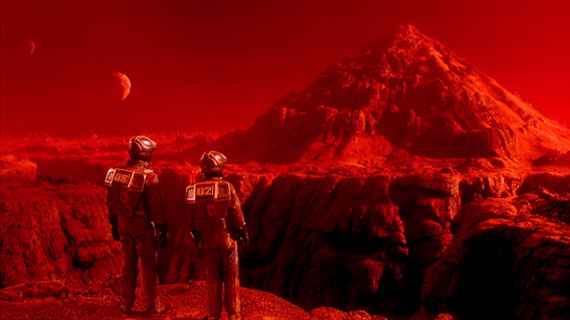 Due to the uniqueness and brilliant red of the formations, Valley of Fire stood in for Mars in the exterior shots of the 1990 Arnold Schwartzenegger science fiction blockbuster Total Recall. Scenes from 2007′s Transformers were also shot here. This beautiful and barren location was also where Captain James T. Kirk met his demise in 1994′s Star Trek Generations. Standing in for the fictional planet Veridian III in the movie, prominent real-life landmarks like Lake Mead can be seen in the background as Captains Kirk and Picard (William Shatner and Patrick Stewart) save the universe from Malcolm Mcdowell’s villain Soran. A beautiful park in Southern California, Redwood Canyon State Park features many unique and tributary canyons that are naturally painted multiple colors. These magnificent geological features and its close proximity to Los Angeles have made it an ideal filming location. Numerous movies and TV shows have been filmed here, dating all the way back to The Mummy in 1932. Since there are already multiple paleontology dig sites on the grounds, filming the dig scenes from the 1993 blockbuster Jurassic Park there was an easy choice. Another popular science fiction movie filmed here was Westworld. Written and directed by Jurassic Park author Michael Crichton, this 1973 movie is also about a theme park. This park also promises fantastic thrills and unheard of excitement for its guests, except instead of dinosaurs it’s androids dressed as people from Ancient Rome, Medieval Europe, and the Old West. Much like in Jurassic Park, things go horribly wrong and the attractions start killing the guests. Many of the Old West scenes featuring Yul Brynner’s rogue Gunslinger android were shot at Red Rock Canyon. Now we’ll switch it up from the more barren environments of the previous entries and take a look at the secluded green forests of Grizzly Creek Redwoods State Park in Humboldt County, California. 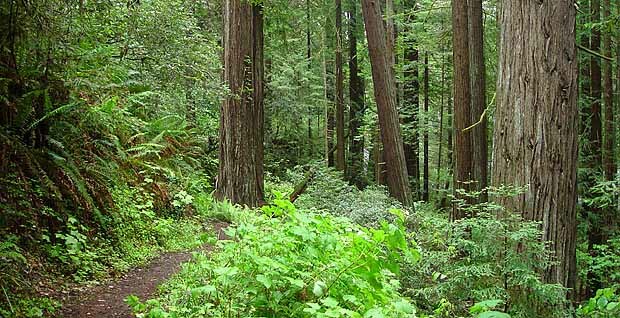 It is among the virgin redwoods of this park where Luke and Leia (Mark Hamill and Carrie Fisher) evaded Imperial Forces on speeder bikes in the classic high-speed chase scene from Return of the Jedi (1983). A number of the other Endor scenes were also filmed here. While many other California state parks were used for filming the legendary film trilogy, it can’t be argued that this park, standing in for the forest moon of Endor, provided some of the most memorable scenery and explosions. If you’d like to read up on more state parks where the original Star Wars trilogy was filmed as well as other famous movies check out our two previous articles on the subject here and here.